While most publicly recognised as the front man to one of the most progressive rock bands of the 70’s, Freddie defied the stereotype. 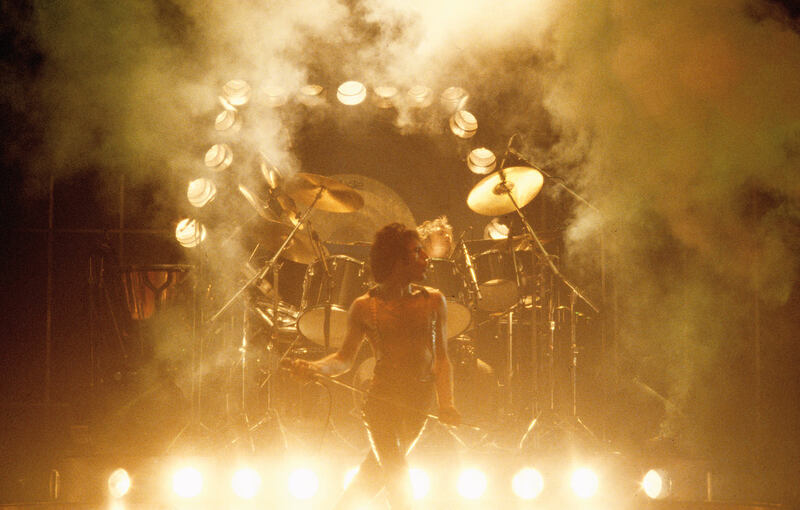 A taste for venturing into new territories – a trait that was to have a marked influence on the direction Queen would take – took Freddie to explore his interests in a wide spectrum of the arts, particularly in the areas of ballet, opera and theatre, even taking a participating role: in October 1977 the sell-out audience of a charity gala at the London Coliseum organised by Royal Ballet Principal dance Wayne Eagling received the surprise of an unannounced appearance by a silver-sequinned leotard-clad Freddie performing an intricate routine choreographed for him by Eagling. 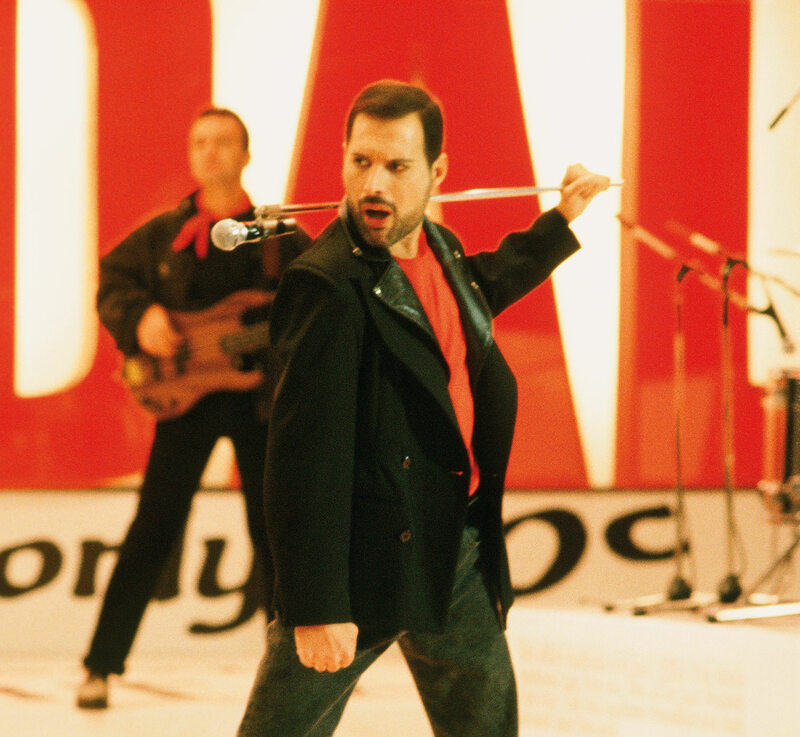 In 1987 he made a one-night appearance in Dave Clarke’s Time at the Dominion Theatre, although legend has it Freddie occasionally turned up at the theatre to support friend Clarke’s musical, one night selling ice-creams in the stalls! Freddie would have loved the fact that The Dominion played host to the band’s phenomenally successful musical We Will Rock You which ran for 12 years.